If I had a dollar for every scuba-diving triathlete mom who specializes in the art of service buyer/provider relationship management and governance strategy for a big 4 management consultancy... I really wouldn't be very rich. Liz Evans has been at this for several years now, from the early days of Equaterra, where she was marriage counseling for most of the broken outsourcing deals in the industry, through to KPMG where she has molded her craft into the GBS governance functions of many of the largest enterprises in the world. Not bad for a nice lass from a town called Middlesbrough, somewhere up in the north of England, who's firmly implanted herself as a governance therapist in many North American boardrooms (when she's managed to yank herself away from her Lego-addicted kids). Phil Fersht, CEO, HfS Research: Liz, it's great to talk with you again. I think it's been five years since we last spoke to you on the blog. You've built quite the reputation at KPMG these days for leading a lot of the governance strategy and how clients are maturing post-transaction. I think our readers would like to hear a bit from you about your background and some of the early days in your career, and how you ended up becoming such a respected governance and relationship management practitioner in the industry. Liz Evans, Managing Director Governance, KPMG: Thanks Phil - it's great to speak to you. You know, I did a conference—a Governance roundtable last October—and one of the sessions was on talent management. The first question I asked the audience was, "Put your hands up if, when you left university, you wanted to be a governance professional." Shockingly, no-one raised their hands. And I have to say I am in the same boat. So I think the route into governance and this industry is often an interesting one. I started off doing outsourcing deals way back in the mid-‘90s. And I actually focused much more on service levels. And then was asked to look at the structure of how you manage those on an ongoing basis. It kind of led me down the road as well. Service levels and service credit really are not all there is to a relationship—it's much broader. I think the rest, as they say, is history from there. When I joined EquaTerra in 2005, I had the opportunity to really spend my time focusing on governance as a true discipline and expand my opportunity to include not only IT, where my background is, but also the BPO space as well. And then looking at shared services, and now in the KPMG world, I get to really look at service delivery governance from a much broader perspective now that we are looking at global business services and what that means for organizations and how people focus on it. Phil: Now let's talk about GBS for a bit because I think we have sort of come off the initial buzz of “What is GBS?” and why it is a growth path for many organizations to take. From your perspective, coming from traditional outsourcing into shared services to where we are, how would you describe what GBS is today to a sourcing executive on the buy side and why is it something that they should be excited about? Liz: That's an interesting question. I have a firm belief that GBS is really about changing not only your organizational structure but also the mindset upon which you are delivering services. It is not only about the value and the knowledge and the talent within a given function—let's just say IT or finance. It is also about how you get those traditional functions in your organizational structure to really work together effectively to deliver services or a complete end-to-end process to the business customers. It’s a different way of looking at a work construct. And to do that you have to get different organizational groups, leadership, and delivery people, whether they are internal or external, to work together in a regular, common cadence that allows you to make sure things do not fall through a crack, the performance is delivered, where you understand where the performance is, and you’re able to make changes to the model. All of this requires governance. And so I think, fundamentally, it is a mind shift—changing from function to a wide- view of either service or process. You need to really understand what your customers want to purchase and design their experience, versus just delivering to them based on a collection of talented resources that you have in Finance, HR, IT, or whatever function it happens to be. Phil: And you know, I think in sort of deconstructing some of the terminology, a lot of people think GBS is just something that the top 100 organizations in the world do. Do you agree with that, or do you think GBS is something much broader, which many organizations can get involved with? Liz: Phil, I think many organizations can get involved with GBS. If you look at how you are delivering for your organization and start changing your mindset from function to service or function to process, the size of your organization does not matter. It gives you an ability to scale, to monitor costs, to monitor performance, to take advantage of the data that is available to you cross-functionally in a way that you have not done before. And I think that's applicable to any organization. Everybody is looking for opportunities to do things better and faster. They are looking for opportunities to leverage their external partnerships that they have more effectively. We are all looking for ways to improve. And I do not think that's restricted to large organizations. I think that's pertinent to everybody. Now, how fast they go up that maturity curve and how quickly they transition through that journey of GBS, I think that's a different conversation. I think getting to Level 5 GBS in three years is unpalatable for some organizations. But I think it gives you a construct of how to understand the value that you can deliver to your business. And I think that's the essence of the value and the benefit of a GBS mindset. It changes from "I can deliver, I can do accounts payable, or I can have my service provider do accounts payable" to "Where is the value of accounts payable in the wide-ranging process of supporting my business to deliver products or services to customers?" I believe it changes your mindset. Phil: So, Liz, how does this affect people's career paths? I mean, this has been the perennial issue for the outsourcing industry for a long time... you know how people often call it the “accidental profession.” People sort of fell into it and ended up trying to work out how to do it as best as they could, to get through the day. How do you think the approach is changing regarding careers in GBS and managing capability? Do you think we are getting better at it? Do you think there are qualifications out there that are helpful? Is there a curriculum being defined at this point or are we still grasping at straws with how companies should best approach this? Liz: That's an interesting set of questions, Phil, and there are a couple of thoughts that come to mind. One is, from the conversations I have with a variety of clients in a variety of different sectors, talent management is very prominent in their thinking. They are asking, “Do I have the right people to affect this change?” Because it is a gigantic change for an organization to shift from the traditional structure and way of thinking on handling a function to delivering services. “Who can help me?” “Who can lead this change?” “What are my succession plans?” I feel like talent management as a topic is not an afterthought in GBS. It is a very prominent part of the dialogue. And the other thing that is a part of that is there are a number of organizations out there seeking GBS talent. It is quite astonishing. A lot of organizations are going externally because they recognize that they want people with experience in those leadership roles who can drive the change in the organizations with the speed and the success rate that they are seeking. So I think that's actually a good signal in terms of finding that talent. I think that some of the recruiting agencies are struggling to really be able to articulate and quantify what GBS experience in leadership means. But that's something I think the industry will catch up with. I am actually encouraged by the way in which talent is discussed and understood in the GBS dialogue. I still do not think there is a plethora of folks who have the experience, but I think there are an increasing number of folks who have the experience. And they are becoming more and more marketable in the industry. Phil: That's a good point, Liz! And why are they becoming more marketable? Is it because they are basically figuring themselves out a bit and realizing that they have to take their career in this direction to be successful? Because, all I hear every day from people is they can't get talent, there is "nothing out there". However, over the last five years, I’ve seen many of the same people really changing their approach. Liz: Yes. I think that's right, Phil. I think GBS has introduced a new language to the industry. And I think there are a number of very experienced leaders who have adopted that very quickly in their own marketing approach to their own careers, and who have aligned their experience with what GBS is trying to achieve. I think those are the folks who are really market leaders, who are rising to the top and being phenomenally successful, which is fantastic to see. We have a number of prominent lights in the industry that have been successful in the GBS role. I think it is helpful that we are codifying that language. I feel like it took us a while to do it in shared service and outsourcing. We kept those languages very distinct for quite a while. But I do feel like people are proactively looking at opportunities and aligning their experience better so they are marketing themselves better. And they are being more proactive in how they are directing their own career in a GBS environment. I think there are a lot of opportunities for folks. Phil: You have come through various situations in the industry—from lift and shift outsourcing to more transformational BPO/ ITO to GBS. So, what do you think the world is going to look like in another five years? Liz: That's an interesting question. Robotic Process Automation (RPA), which is a big buzzword at the moment, will become increasingly prominent in the marketplace. And I think commercial arrangements are going to look and feel very different. I have every expectation the service provider landscape will change considerably. Just as we saw with the growth of the offshore service providers and changes in traditional domestic companies engaging with offshore, and we saw lots of mergers and acquisitions and consolidations, etc., I think we will see a lot of new entrants in the marketplace in the RPA space. I suspect that that will shake out over time. So whether it is the big players that we have today, who knows? But I think we will see some new names and I think we will see more branding around these new innovative services. And I actually think with robotics, we will have the opportunity to realize the dream of innovation within supplier relationship. So, you know, Phil, because you have looked at it for many years, one of the struggles we have already in traditional outsourcing relationships is innovation. What does innovation mean? Does it mean continuous improvement? Does it mean redoing my SLAs every year? Or does it mean really doing things differently? It is about actually labeling what innovation means and how you fund it. I think things like RPA can give us the opportunity to realize the dream of innovation within the construct of our external relationships as an industry. I am actually quite excited about that. I am excited about the opportunity to really transform the way in which work is done and to change a lot of the commercial and relationship models. I think the next three to five years are actually going to be quite exciting as we see changes in the service provider landscape, companies’ adopting new services, and realizing the dream of innovation. I feel like that has eluded a lot of companies for a long time. Phil: I have one final question. Do you think we are heading towards a path where companies are going to have a Chief Services Officer or a Chief Governance Officer? Or do you think it is going to become more of a capability rather than an actual specified job, as we evolve? Liz: Wow! That's a good one to noodle. I feel like governance is becoming increasingly prominent. I feel a lot of organizations are instituting enterprise-wide centers for excellence governance - you could argue that the leader of organizations is a Chief Governance Officer. That's definitely a trend. I do not see that label used. And I think there are some challenges with using Chief Governance Officer and then Corporate Governance and the two different functions would be interpreted. So I am not sure I see the label per se, but I definitely see different constructs within the organization. I see governance as a key responsibility within a new GBS structure. I see it as a discipline and I see it more prominently on the organization chart. But I do not predict there will be new labels around Chief Governance Officer. Phil: That’s great! Well, Liz it's been great to have you back on here and how have your views developed over the years. Liz: Thank you very much for the opportunity to connect, Phil. 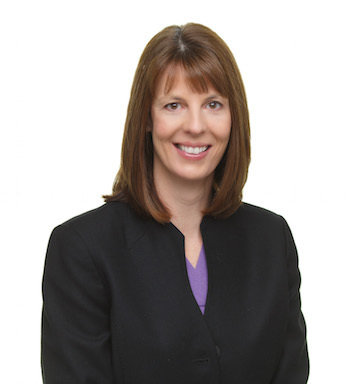 Liz Evans is KPMG Managing Director for Governance, Shared Services & Outsourcing Advisory. You can view her profile here.